Snap-safe anti-bump euro profile cylinder - achieves the Pas024 security test. 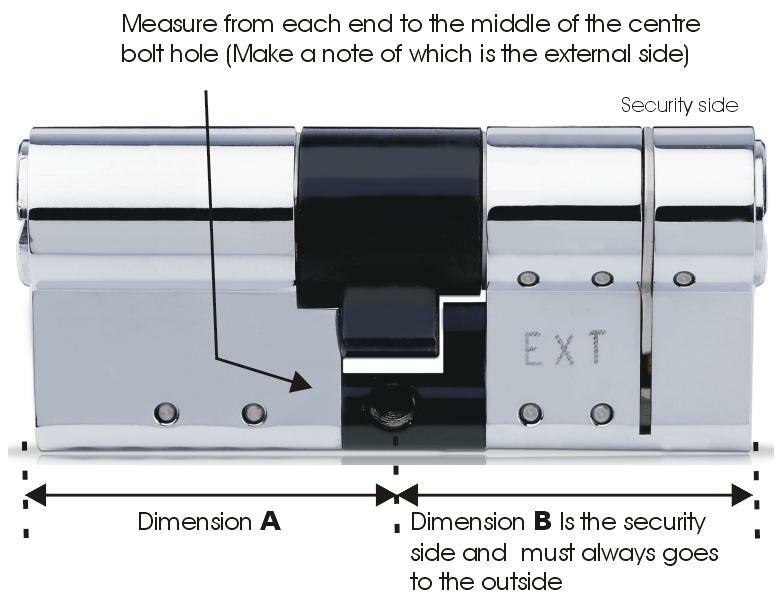 The ABS euro lock cylinder has special built in Snap Secure technology that ensures that if the door is attacked the cylinder snaps from the outside and blocks access to the internal mechanism of the door lock. ABS features unique patented technology that locks the cam in position when the cylinder comes under attack. Colour Finish: Choice of Brass or Chrome. Keys: Comes with 3 Keys per cylinder and personal key card, without which key copies cannot be purchased, this provides enhanced security as any keys lent out cannot be copied without your knowledge. Standards: Achieves both the Solid Secure Diamond standard and the TS007 standard for maximum security. This is important as your main entrance / exit cannot be further secured by Sash (Security) Jammers when you are out of the house. The ABS Euro Cylinders use snap secure technology that snaps the cylinder from the outside, blocking the internal door mechanism if someone tries to break in. The ABS Euro Cylinder has a unique patented technology that locks the cam into place in this situation. All ABS cylinders are the latest MK3 Security Version, with our effective online ordering system you are able to order a single cylinder as normal, however we can easily cater for more complex situations. If you want your new cylinder to be keyed the same as your existing ABS cylinder we can do that, simply select the option and provide the code. ABS Euro Cylinders are now highly recommended by most Police Authority's and security organisations. If security protection is an issue then do not compromise, a highly engineered lock is a highly reccomended investment. Dimension B is the security side and must always be on the external face of the door. You should measure the cylinder from the end of the barrel to the centre of the screw hole, not to the edge of the black cam ring.